It's officially late summer. Fall is knocking on our door. And while I'm twelve kinds of excited about busting out sweaters and boots, I'm completely in heaven squeezing out every last drop of summer I can. And, for the sprinkles on top, these colors scream out "late summer" to me. 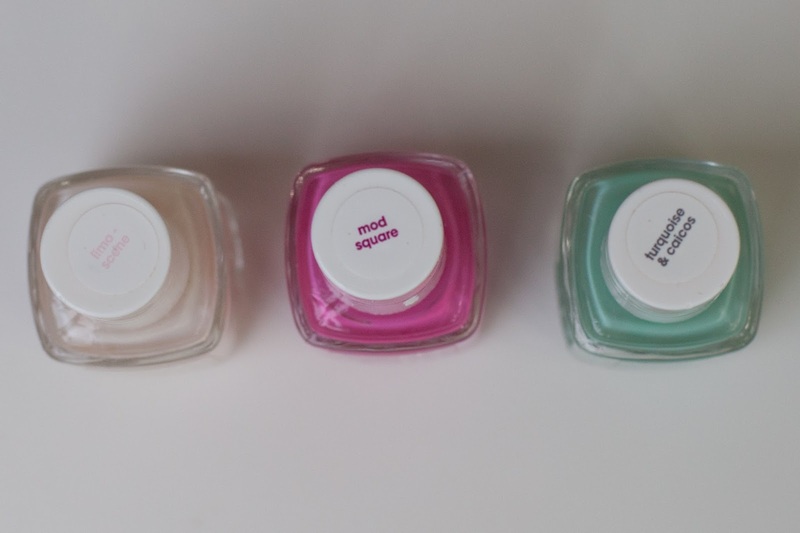 They are old favorites, but are still available! 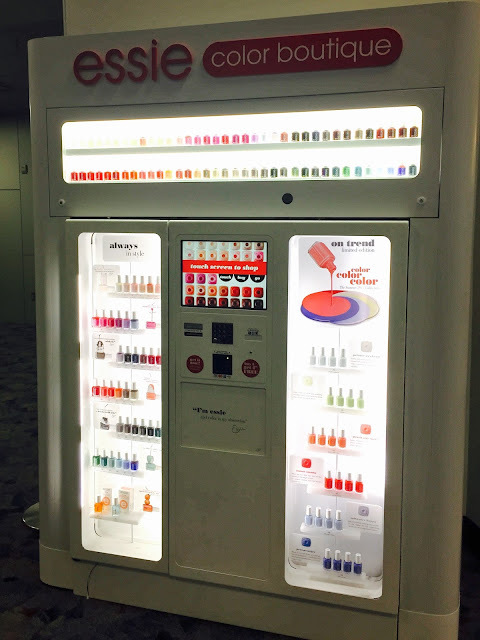 And for availability on a whole new level, my sweet friend Sarah (who knows of my love for essie) sent me this pic over the weekend from the Las Vegas airport! Yep, that's an essie vending machine! Genius! All. The. Heart. Eyes. If you need me, I'll be enjoying my Starbucks iced coffee with my late summer nails (because come September, it's Pumpkin Spiced Lattes and fall polish all the way!). Loooove Essie! That vending machine is what dreams are made of holy cow!!! Seriously with that vending machine?!? The coolest!! Love these colors!! And have been on the gold kick since you recommended it a few weeks ago! Love that gold still! My very fave! !